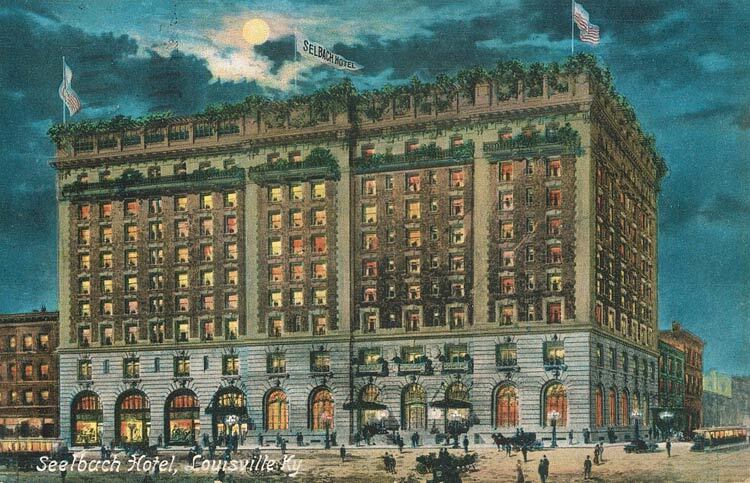 This Louisville treasure opened its doors 108 years ago, just in time to take in 1905’s influx of Kentucky Derby fans. In the century since, it’s gained a reputation not only for its old-world grandeur, but also for its amazing watering hole, the Old Seelbach Bar. Jerry Slater did two stints behind that bar before coming to Atlanta. Until you can plan your own visit, we offer a gallery of vintage Seelbach postcards and, most importantly, the recipe for the Seelbach Cocktail, the hotel’s elegant signature drink. Stir ingredients briefly over ice, strain into a chilled flute, top with Champagne and garnish with a lemon twist.